Tooth decay is where plaque (a combination of bacteria, acid, food, and saliva) forms on the teeth and causes a hard outer layer on the teeth or the enamel. This layer will decay or weaken the tooth. This causes pain, infections and the loss of teeth, which can affect both children and adults. 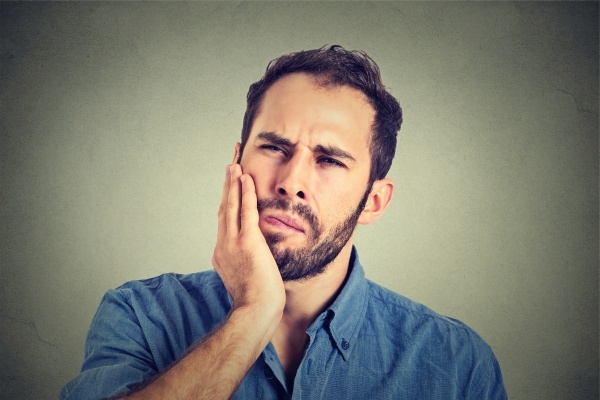 Toothaches are one of the most common signs of tooth decay. Pain may be mild at first and is only felt when biting on hard foods, but over time pain will be experienced even when eating soft foods. The pain will continue to increase as the tooth decay forms. Swollen or bleeding gums are a clear indication that something is wrong with the teeth. This is usually tooth decay caused by improper oral hygiene. As aforementioned, tooth decay is formed by bad bacteria. This same bacteria leads to persistent bad breath as bacteria has already penetrated the tooth. This is identified by a bad taste in the mouth even after brushing the teeth and while brushing the tongue. This is the last stage of tooth decay before holes start to form in the teeth. Dark brown, grey and even white spots form as bacteria makes its way down into the enamel and can even conceal a hole that has already formed in the teeth. Luckily, if detected early, tooth decay can be treated. Any further harm or tooth decay can be prevented if appropriate measures are taken. •Using fluoride is one way to stop tooth decay in its tracks. Fluoride can be acquired through fluoridated water or by purchasing fluoride toothpaste. Dentists may also prescribe fluoride tablets, apply fluoride gel or suggest using a fluoride mouthwash. This will prevent the loss of minerals in the enamel, replace minerals lost and kills acid-forming bacteria. •Dental sealants may be applied by a dentist to treat tooth decay. This covers the surfaces of molars and prevents food and bacteria from becoming trapped in tiny crevices that would cause further decay. •If decay has caused holes to form in the teeth, the dentist may suggest getting a filling or a crown. Here, the decay is removed and the space is filled. •Reduce the amount of sugar and starch in their diet, and substitute it for tooth-healthy foods such as fruits, vegetables, or dairy products. •Brush and floss the teeth regularly. This includes the gums and light cleaning of the gums. Mouthwash is also recommended because it thoroughly cleanses the entire mouth. •Visit the dentists regularly in order to have their teeth cleaned properly and inspected for signs of problems. If you are to have a healthy mouth, you must know how to detect the signs of tooth decay. Inspect your teeth regularly before it is too late! Request an appointment here: https://www.drbrucematson.com or call Bruce Matson, DDS at (713) 481-4626 for an appointment in our Houston office.